of St. Mary Major in Rome. also be lit for you at the Shrine. The card you are requesting is not signed or personalized. 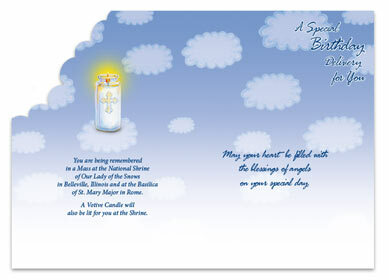 If you would like your card to be personalized please add the personalization in the Special Instructions section on the checkout page.